Step back in time to an era where life was lived at a more leisurely pace... where special occasions called for special elegance... where the journey was as important as the destination... where old-world, handmade craftsmanship was the standard. Let us help make your special occasion one that will be remembered for a lifetime. We have the perfect exotic or classic vehicle to meet your specific needs. Experience Old-World Elegance with our beautifully restored MK IX British saloon. Solid English walnut trim, Wilton Wool appointments, and right hand drive complete the European experience! 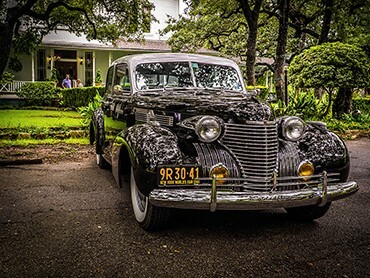 The 1940 Cadillac represented Detroit's best accomplishment for the era. Driven by only the privileged few, the Caddy was every man's dream car. Solid, quiet, commanding presence, and smooth on the road.. the perfect addition to any special occasion. The ultimate vehicle for your special wedding. With a third row of hidden (unless needed) pop up seats in the passenger compartment, "Roosevelt" provides intimate privacy in the plush rear seating, OR comfortable accommodations for a group of up to 7 passengers. We also provide Other Classic Vehicles for Static Display and Photo shoots. Contact us for details. Why settle for the ordinary when your occasion is special? 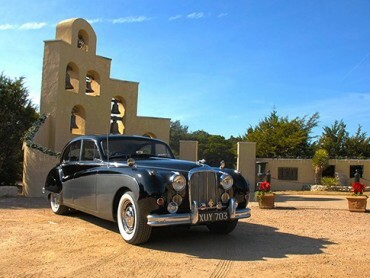 Our classic vehicles add that final touch of elegance to any event. 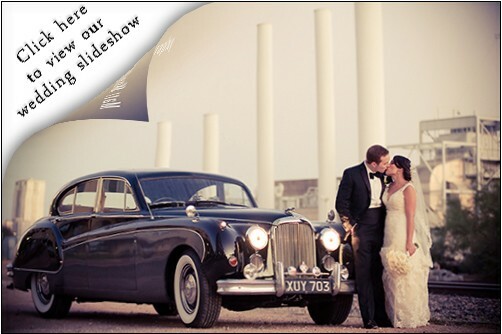 Each of our vehicles always draws a crowd, and makes the perfect backdrop for your treasured once-in-a-lifetime photos. 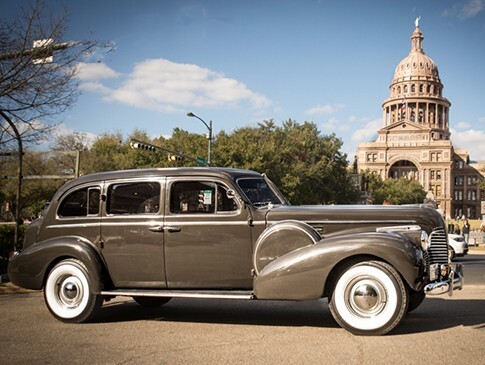 Our limousine company is fully licensed by the City of Austin, and our vehicles carry commercial insurance in excess of City requirements. Our vehicles are ALWAYS owner-driven, and ALL vehicles are air conditioned in respect to Austin summers. Our clients consistently award us with 5-star reviews (See REVIEWS menu at top), which tells it all! We cheerfully accept credit cards for payment (through our secure Paypal link), with no additional fees. Our company is frequently called upon to provide one of our vehicles for special photoshoots, music videos, or film projects. We understand the time-critical nature of such projects, and can be relied on to provide the right vehicle at the scheduled time. For personal photo sessions (such as pre-wedding or engagement sessions), our own staff is fully qualified to provide excellent photographic work (All photos in the GALLERY section were taken by us).